If you’re working on a budget and need an industrial rated multimeter, you may want to take a look at the Amprobe AM-570. The main draw here is the price, but it still boasts a reasonable accuracy and most of the functions of more expensive meters. If you’re just working around the home and feel the need for a beefy, rugged meter, you’ll probably want to take a closer look at this digital multimeter (DMM). The Amprobe AM-570 boasts a pretty high safety rating, all things considered, having been separately rated for CAT-III and CAT-IV ratings that rank pretty high. It’s not the most accurate meter on the market, but despite its rock bottom price you can rest assured that you’ll end up with a functioning meter that can meet most of your needs around the house. With all that said, the professional technician will most likely want something a bit higher up on the meter food chain than this Amprobe. 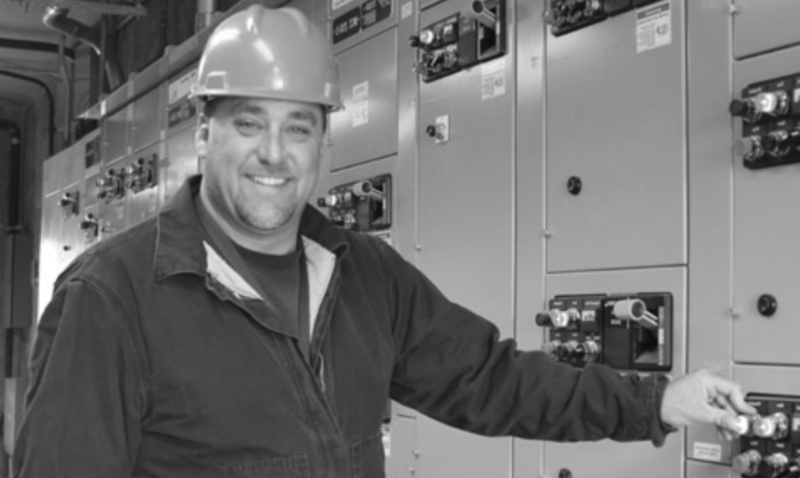 That’s not to say that it’s a bad meter, but simply that field technicians may have to rely on their devices extensively in the field and they should make the investment in the absolute best. On the other hand, if you’re looking to work on wiring or major appliances around the house this is a great choice that won’t leave your wallet feeling too thin. 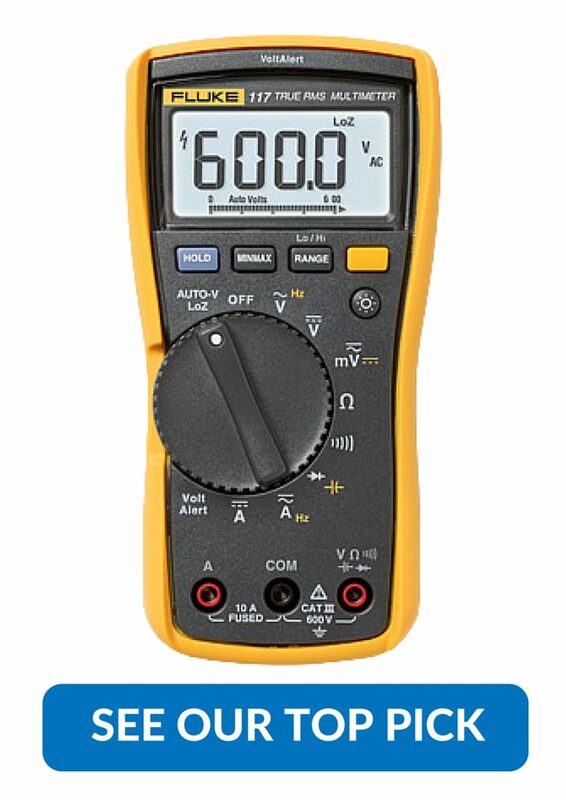 It’s still suitable for most of the uses of the more expensive multimeters but you’ll definitely want to take a bit more care when using this device. One nice addition to this meter’s functionality is that it does come with a small LED flashlight, which can make for a lot of use when you’re working in a cramped, dark area and might not be able to comfortably wield a normal flashlight. It also has a backlit screen, which most of us will find a lot of use out of. The Amprobe AM-570 does do all the stuff we’ve come to expect from digital multimeters, and measures all of the usual readings. Although most people usually just buy a digital meter to test voltage, current (AC and DC), continuity and resistance, you'll be please to know that this DMM also measures capacitance and frequency. It has a bit slower response time than some of the more expensive meters available, but if you’re not in a hurry it’s still a solid choice. Other features that the AM570 boasts include: the ability to detect stray voltages, the backlight will stay on for a substantial amount of time - 15 minutes (great when working in dark places), temperature reading probes and a spot to clip your probes into the back of the case - a great feature to keep your test leads nice and neat. Add in some alligator clips, a good case and you have yourself a solid little kit. Amprobe have done a fantastic job with creating a multimeter that is both highly functional and an affordable price. When you're using the meter, it does not feel like you're using a budget meter (the outer insulation feels extremely thick and rugged), as you sometimes do with the lower priced models. Hobbyists on a budget will not regret adding the AM-570 to their arsenal. If you’re not too worried about extreme accuracy and keep this device safely away from the highest of currents it’s sure to serve you well for a long time. It can’t really be recommended for those consistently working with high voltage, but for the amateur or student it comes in cheap and functional and will make a nice addition to their tool box. If you’re lacking a multimeter and just need one for around the house, you’ll find that the Amprobe AM-570 may be just the thing you’re looking for.